Modern Ugly Art, is another product of western Anglo-Saxon/Marxist education system to create confusion what is Right and Wrong, which ultimately leads to Chaos in society! (see interesting clips & pics below). Justifying anything under argument of Freedom of Speech/Expression has created this confusion in western society and their dumb Indian followers (slaves)! Since last few decades Western Anglo-Saxon education is creating great confusion among people between Right and Wrong doing…Argument is given whatever you think and do is GOOD/RIGHT, it’s your Human Right…without properly analyzing its impact on self, society and world. This situation in India we refer as justifying Adharma in the name of Dharma (read Bhagwad Gita for detail arguments and clarifications). Creating further confusion- Bad Art is not Bad!! Hindu Art itself is YOG – union of Aatma-Body-Mind-Consciousness-Cosmos! Every Hindu home and Temple draws Rangoli/ Kolam outside front door as a sign of welcoming Luck, Prosperity, Auspiciousness and for coming guest. 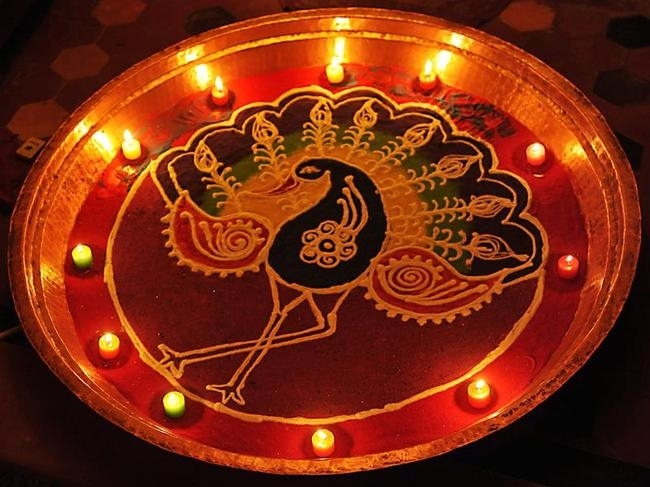 Rangoli/ Kolam – is objective reflection of Beautiful, Positive, Stable and Peaceful Mind of Artist (especially Hindu ladies living in that house). Similarly for Art/ Rangoli/ Kolam viewer, its soothing and peaceful experience as image puts certain positive reflection on mind….makes mind calm, peaceful and stable… attains blissful experience /mood. On contrary, Ugly and disturbing images/Art creates Negative impact on Mind, Thinking, Mood and Action! So, Art is not just creativity but has long term impact on society – both on Artist and Viewers…This applies to Music, Movies, TV, Dance, Sculptures and all forms of Arts…..
Sources: Prager University, Youtube, Twitter, India times, Google Search, and all links in the post. 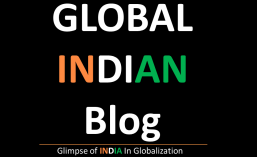 This entry was posted in Culture and tagged Anglo Saxon, Art, Bad Art, Consciousness, Hinduism, India, Kolam, Marxism, Marxist, mind control, Modern Art, Rangoli, Ugly Art, YOGA. Bookmark the permalink.